gladley: Do you blog? If so, you need to read this. Do you blog? If so, you need to read this. On Sunday I posted a link to an open letter to Maria Popova, curator of the popular Brain Pickings blog. This letter accused Popova of claiming her blog was 'ad-free' when in fact, it wasn't. Whether you're a fan of her site or not, if you have your own blog this is an important story to learn from. Here I explain how blogs work, why you should be aware of blogging disclaimers and how best to disclose advertising to your readers. Totally new content created with the aim of people reading/watching it and sharing it with others. Examples include Fairy Tales for Twenty Somethings, and Raspy Wit. The content can be anything - guides to blogging, parenting, personal stories, photos, you get the idea. Content created by other people and shared in one space. Two really great examples of curated blogs are This Isn't Happiness and Brain Pickings. There is a third category, and that's a combination of the two styles above. Many lifestyle blogs fit into this category, mixing original content with Pinterest posts, fashion remixes, etc. 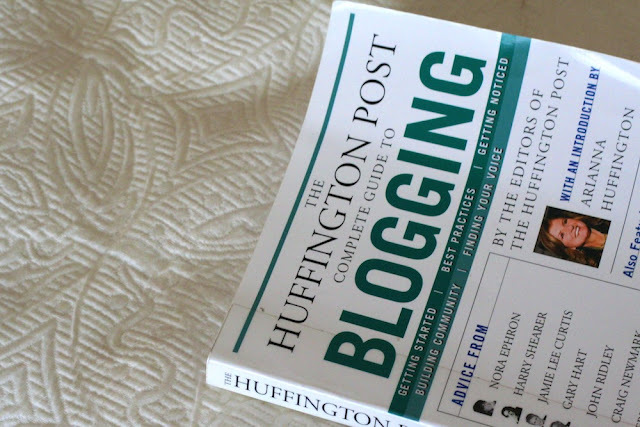 The news site Huffington Post is also an example of a combination blog, as is economics blog Marginal Revolution. The mark of a good blog isn't whether the content is original or not - it's the branding, the interestingness, and often the way the blogger connects with their readers. Brain Pickings works as a curated blog because Popova knows her target audience. And a large target audience is key for making income from a blog. Lifestyle and curated content blogging has become more commercial in the past few years. Just last week Aunie Sauce, a popular lifestyle blog, announced a giveaway with a huge $1500 visa gift card prize for one lucky reader. As media shifts from print to digital journalists, bloggers, innovators and media moguls are all pondering: How do you make money from publishing stuff online? Adverts - Either banner or word based ads placed on the blog by a third party (eg Google Adsense) where the blogger receives a cut of the advertiser's pay-per-click (PPC) costs. Blog sponsoring - These too are like old-fashioned banner ads, although the blogger is paid by subscription and not on a PPC basis. In lifestyle blogging they are usually less intrusive side-bar ads, often purchased by small stores and fellow bloggers, using a platform such as Passionfruit ads. Sponsored posts/Advertorials - Either paid-for guest posts written by other bloggers/companies, or written by the blogger about a product or service, where the blogger is paid cash or in kind. Donations - A 'please donate' button allows reader to pay what they like for the enjoyment of reading their favorite blogs. Affiliate links - Bloggers link to products/services within their posts and receive a cut of the PPC costs or a cut of whatever the reader buys. Other ways of making income include giveaways (like Aunie's which requires entrants to follow and tweet about various blogs), tutorials, paid for content, or merchandizing. All of these are legitimate, and there are up and downsides to each. For example, if a blogger chooses a sponsored post that doesn't fit with their brand there can be negative repercussions. Recently The Atlantic magazine's site featured an advertorial on Scientology. After a backlash, The Atlantic took the post down and announced it was re-evaluating its sponsorship policy. What The Atlantic did here wasn't wrong, but it miscalculated the response from its readership and ended up backtracking for fear of losing its audience. So what did Brain Pickings do wrong? Brain Pickings is a successful blog, and through it Maria Popova solicits donations from readers as well as using affiliate ads within posts. But she got into a sticky situation by claiming her blog is ad-free. It isn't. She failed to disclose that the blog is part-funded by affiliate links. So not only did Popova break the trust between blog and reader, she came across as disingenuous by knocking ad-filled journalism, and she also possibly broke the US FTC's guides governing endorsements and testimonials. Brain Pickings participates in the Amazon Services LLC Associates Program, an affiliate advertising program designed to provide a means for sites to earn commissions by linking to Amazon. So what is best practice when trying to make an income from your blog? Be open and honest about where your funding and your content comes from. Simple as that. The UK blog Money Saving Expert is one of the top 60 UK websites, and has a unique way of finding income, which is explained in full to its readers. Affiliate links are individually marked, so readers can be sure when a company has paid to be featured on the site. I believe in honesty. Sure, I would like to make some profit back from the countless hours I put into my blog. I personally don't ask for direct donations as I don't feel it would be fair - I want to give something back to the person, like a sponsored post or ad on my sidebar. I have a permanent location for my disclosure that is mentioned at the end of any post that was sponsored and also easily located at the bottom of my blog. My biggest thing is that I work with affiliates - meaning if you are going to shop at a store, say Amazon, and you click a link on my blog to get there, I'll get a portion of the sale. You pay for a product you wanted anyway and maybe even found because I wore it in an outfit post or used the product, and I get a maybe 5% back from the company. My readers don't pay extra, but it's a nice way to help out, and I want them to know that! If you make an income from your blog, think carefully about how you'll disclose it to your readers. The FTC guides state that they don't actively monitor blogs, and there is no fine for not having adequate disclosure. However, as highlighted by the Brain Pickings blog, not disclosing your relationship with advertisers can badly affect your relationship with readers - and in blogging, that's the last thing you want. If you want to read more about this, I recommend Felix Salmon's op-ed on Brain Pickings, and Kelly Fairclough's coverage of the issue. As far as this blog goes, I know my 'support' section has been 'coming soon' for a long time and this is something I've learned from too. I can't claim to be ad-free, but I don't get paid if you click any link within my posts and I don't charge for blog buttons/button swaps. That's because I'm still deciding how best to monetize my blog beyond Google ads - if at all. If I do, you can be sure that you'll be the first to find out. Tomorrow is also the third annual TAO Journalism pledge day - this is a pledge for transparent, accountable and open journalism. If you're a blogger or journalist have a look and maybe even consider signing it. Thanks, and no problem - I love media law and social media, so expect more posts like these! Really interesting post, Gillian. It's always nice to read a few different perspectives on the issue, as well as learn more about the legal significance of the issue (Canada does not have a disclosure law like that of the US). Thanks Erin, and that's really interesting to discover about Canada. I'm learning a lot more about the differences in media/publishing laws in the UK and the USA, so it's always interesting to find out other country's approaches too. Great post Gill. This is a particularly murky feature of many blogs. As a voracious blog consumer (Brain Pickings being one of my favourites) I find it easy to spot the thinly-veiled advertorial posts, and if it's on a site that hasn't been open about sponsored posts I'll pretty much unsubscribe immediately. It's frankly arrogant of blog owners to assume they're pulling the wool over readers eyes. Thanks Laura, when I first found out about Brain Pickings I felt really disappointed, but also a bit silly because I should have guessed. It won't stop me reading, though. Great post Gillian and very informative!